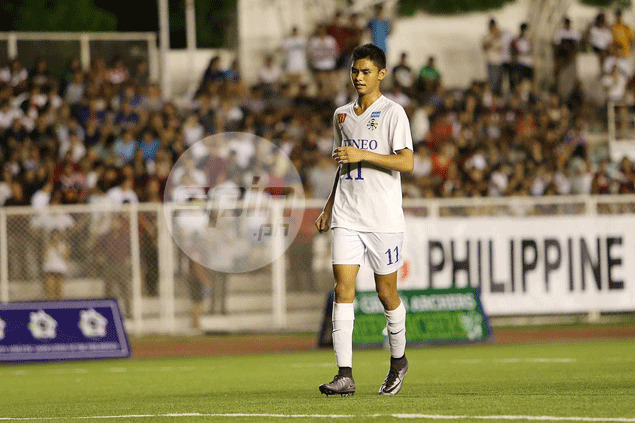 JARVEY Gayoso is making a name for himself, bagging the Best Striker award in the UAAP Season 78 men's football tournament after leading the Ateneo Blue Eagles to the finals against University of the Philippines last week. If his last name sounds familiar especially to basketball fans, it's because he is the son of Jayvee Gayoso, a former Ateneo basketball star who also played for Barangay Ginebra in a 10-year PBA career. The younger Gayoso admitted he tried basketball in his younger days but got hooked to football the moment he started playing the 'Beautiful Game' at age four. “I tried basketball. It was a nice experience but when I played football, I fell in love with the sport more than basketball,” said the 5-11 Jarvey, who once played for the Under-19 Azkals. The fascination with football shouldn't come as surprise since it is in Gayoso’s blood, as his grandfather is no less than former Mr. Football turned national basketball player and PBA coach Ed Ocampo. “I also have titos who played for the national team. It wasn’t really a stray,” said Gayoso. Gayoso shared the individual scoring award with Paolo Salenga of National University (they both scored 11 goals in the eliminations), but the Ateneo hitman said he would have preferred winning the UAAP crown. “It’s a blessing to win this but of course, I have to be team oriented. I don’t want this to come in my mind. This is a blessing but the goals that I scored was for the team and not for the award,” said Gayoso. With Gayoso at the forefront, the Blue Eagles finished the regular season in third with 25 points before stunning La Salle in the Final Four via penalty shootout, 5-4. 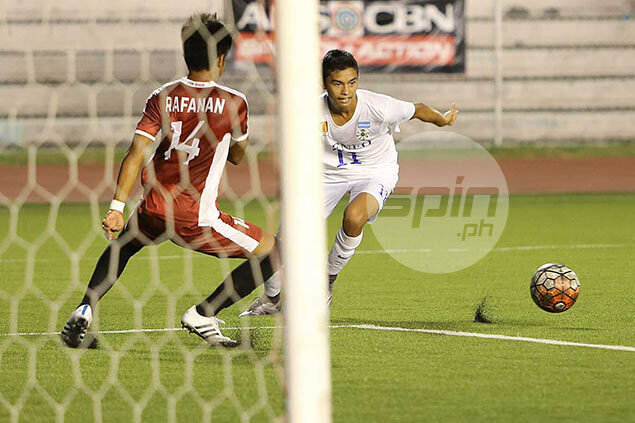 Ateneo, however, could not contain UP, which played inspired football to win the Season 78 crown, 4-1. Despite losing the title, Gayoso said there is still a reason to be satisfied with how Season 78 went for the Blue Eagles. “Our goal was of course to go to the finals but we weren’t really expected to go to the finals because we are the underdogs. We just played our hearts out,” said Gayoso. Gayoso said he learned a lot from Ateneo veteran Mikko Mabanag, who played his final season with the Blue Eagles this year. “Mikko’s asset is his passion for football. He left a legacy in this team. He has been a big inspiration and his passion for the game influenced us on how we play the game,” said Gayoso. With the team almost intact for next season save for Mabanag, Gayoso is already looking forward to next season. “We will come back strong. We only lost one guy. We have a young team that is why we have a bright future,” said Gayoso.